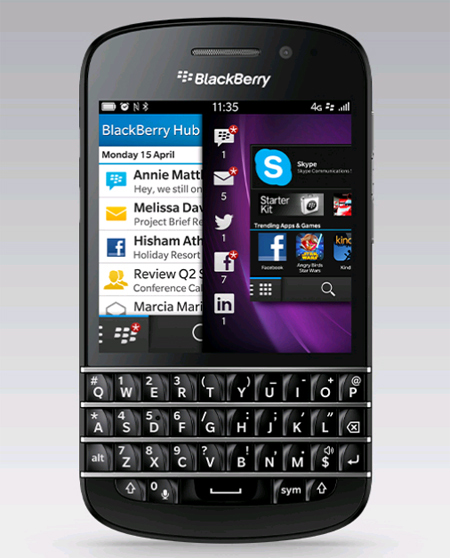 The New BlackBerry Q10 Smartphone is the first BlackBerry 10 smartphone to feature a classic BlackBerry signature QWERTY Keyboard. The BlackBerry Q10 smartphone combines the power of the BlackBerry 10.1 platform with a large, re-engineered physical keyboard and large stunning touchscreen display. Blackberry Q10 comes in two colours, Black and White. The BlackBerry Q10 smartphone’s design, boil down from its beautiful and distinctive form to its elegant and ergonomic QWERTY keyboard, which features a wider layout and larger sculpted keys, advanced hardware, communications and multimedia features, andlong battery life. BlackBerry 10.1 introduces a number of enhancements to make the overall BlackBerry 10 experience even better and updating to BlackBerry 10.1 is free and easy to do from your BlackBerry Z10 over a Wi-Fi network. BlackBerry Hub - helps you stay organized, you can now view emails that are attached to another email, get contact suggestions when you start addressing a message, and send PIN to PIN messages for direct communication between BlackBerry smartphones. Better cursor control - Just tap once to bring up the cursor control, grab the blue circle and drag it around to the insertion point that you want. Improved visual feedback lets you know where you’re pointing. You can also tap either side of the circle to move forward or backward one character at a time. Improved picture capturing - BlackBerry 10.1 HDR (high dynamic range) shooting mode for taking beautiful images in tricky lighting conditions. It also includes improved red eye and golden eye reduction in the picture editor. Remote Folder Access - allows the user to view and/or download content (music, videos, pictures and documents) from their workstation to the BlackBerry 10 device over LAN and WAN transports based on BlackBerry ID (same ID on device and workstation). You can also copy files from the device (or even to a Cloud source like DropBox) and save them onto the workstation. Pre-requisite is a BlackBerry 10 device running OS 10.1 and BlackBerry Link v1.1 installed on the workstation. Skype for BlackBerry - Skype app for BlackBerry runs on the new BlackBerry 10.1 OS. Find a number of new enhancements across the BlackBerry 10 OS like landscape support for the calendar, easier international dialing and so much more. The first step to discovering these new features on your BlackBerry Z10 smartphone is to update your BlackBerry 10 software. BlackBerry 10.1 comes preloaded on BlackBerry Q10 smartphones, and will be available as an update for BlackBerry Z10 smartphones as a free download. To update your BlackBerry Z10 smartphone to BlackBerry 10.1 look for the alert in the notifications section of the BlackBerry Hub. You can also check for software updates through the software updates section in the Settings menu or through the BlackBerry Link desktop software. The download will happen in the background and the update will be applied without needing to back up your smartphone. 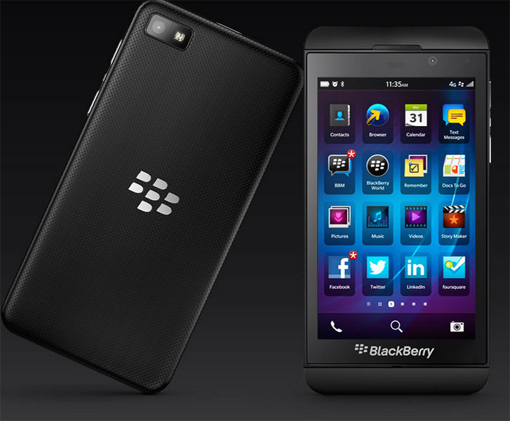 0 comments: on "Blackberry Q10, BlackBerry Z10 and Blackberry 10.1 Software Update"